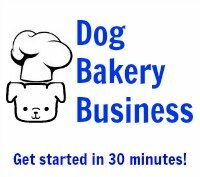 I have tried some of the various dog treat icing recipes I have found on the internet. I am not thrilled about using ingredients that I have to keep refrigerated. I am going to help my daughter make some dog treats for the shelter for a school project. What is a good recipe for this? They won't be able to use a refrigerator to store the treats. 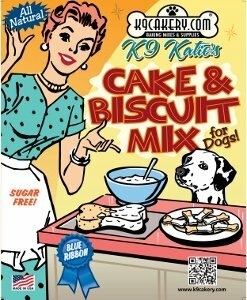 We are going to recommend Magifrost dog treat icing from K9Cakery.com. Rather than spend your time fiddling around, get a bag of this excellent icing powder. All you have to do is stir and ice your treats. You don't need to use a lot if you can drizzle a little bit over the biscuits. It will harden when it dries and you do not have to put it in the refrigerator making it possible to transport them in the heat and store them.